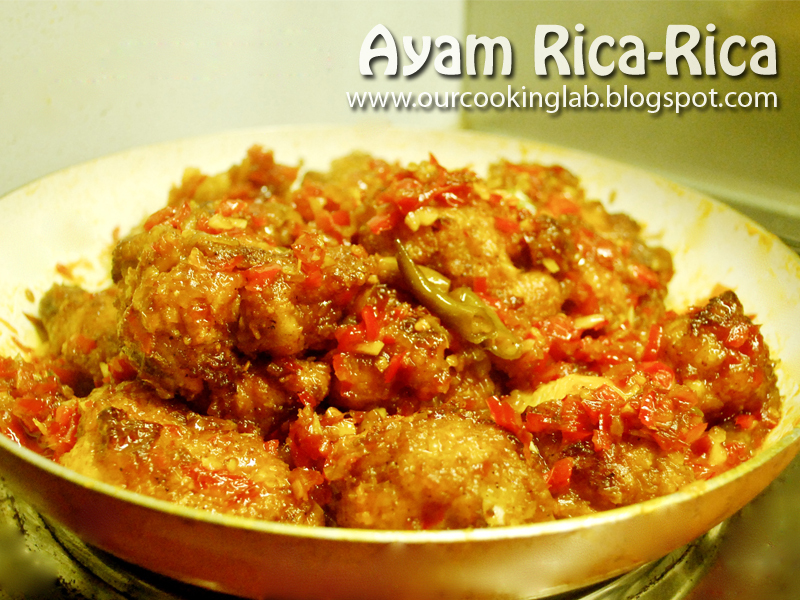 Ayam rica-rica is a very famous Manadonese dish among non-Manado/Minahasa people. 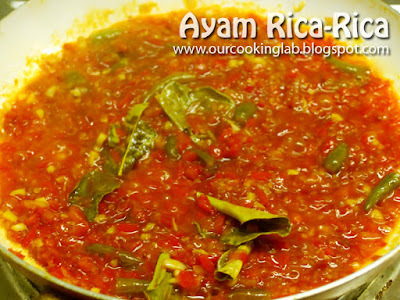 The word "rica" means chili, so it is very obvious that ayam rica-rica is supposed to be spicy. But if you are not a big fan of hot food, don't worry because the amount of chili can be adjusted according to your preference. The strong fragrance in the dish comes from chili, ginger, lemongrass, and lemon leaves. So please make sure you do not miss these ingredients in making ayam rica-rica. I did a little bit cheating in making this dish. 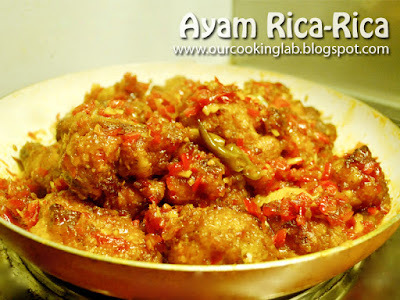 Ayam rica-rica is supposed to have fried chicken components. But to cut all the hassle of marinating and frying the chicken, I used ready-made chicken wings. I baked them in the oven according to instructions mentioned in their packaging. Saute shallot, garlic, chili, red pepper, ginger, and lime leaves until fragrant. Add lemongrass powder, lime juice and salt. Taste the mixture and add enough sugar to balance the sourness. Add the cooked chicken and stir well until the chicken pieces evenly coated by the sauce. If you like more chili sauce on the chicken, reduce the amount of chicken. That way, you can enjoy more generous sauce with your warm plain rice. DewaZeus merupakan bagian dari situs ZeusBola, yang merupakan master agen bandar taruhan judi bola, Casino, Poker, taruhan sabung ayam online S128, CF88 DewaPoker, Live Casino Agen Resmi Lisensi Filipina Paling Terpercaya di Indonesia, hanya di DewaZeus. Yang Merupakan Perutusan Bola Sbobet Indonesia Terpercaya, ZeusBola telah berkerja sama dgn perusahaan Sbobet beroperasi di Asia yang dilisensikan oleh First Cagayan Leisure & Resort Corporation, Manila-Filipina dan di Eropa dilisensikan oleh pemerintah Isle of Man bagi beroperasi sebagai juru taruhan sport sedunia.